If you’re in any type of leadership position, or in any type of role where you are required to do some public speaking and deliver presentations, then maybe you’ve asked yourself after some meetings whether you’re actually getting your message across to your audience. 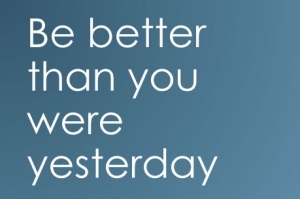 Reflecting on whether you can do something better is of course a healthy process. But if you are seeing signs that your messages and ideas aren’t actually gaining traction with people, then you need to change some aspects of either the way you are structuring or delivering your message. At the end of the day, if you’re speaking to a group of people (whether it be staff, colleagues, clients or senior management), you’re success is not measured by what you’ve “covered”, it is measured by what those stakeholders actually remember and the subsequent actions they take. This entry was posted in management skills and tagged presentation tips. Bookmark the permalink.